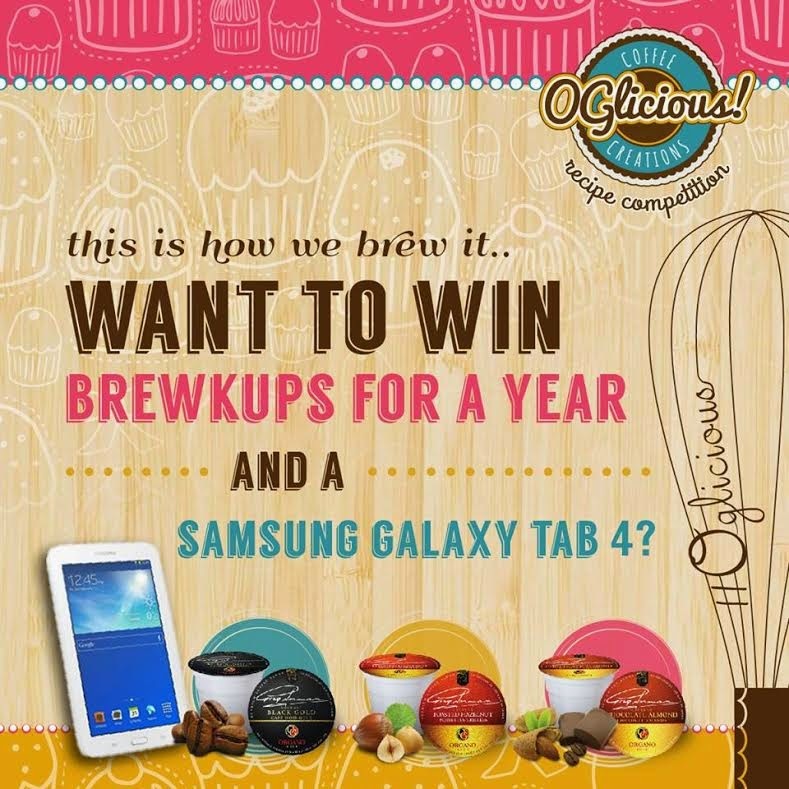 mommy's reviews: OGlicious Coffee Creations Recipe Contest 'This is how we Brew It" Sweepstakes! Entrants are just asked to create a recipe using Organo Gold products, take a photo of it, and submit the recipe to Organo Gold's Facebook Page by using this link. Entrants are then automatically entered to win a year supply of BrewKups (think Keurig Cups with Organo Gold Coffee) AND a Samsung Tablet! All entries must be in by September 30th. So, to get your entries in be sure to visit Organo Gold's Facebook page and good luck to all of you!